lthough separated by 300 miles, a border and a language, Montreal and Boston are remarkably similar. Founded 12 years apart in the first half of the 17th century, the cities are home to renowned universities, drivers who treat their turn signals as optional, and distinctive accents, such as that represented by the aigu over the e in the surname of Jean Béliveau, and the pronunciation of number ­foah, Bobby Oah. The two towns also have the curious ability to mingle religion and hockey. Armchair theologians can debate if the defining moment of hockey’s most compelling rivalry—Boston and Montreal have played 899 games in 90 years—was quasi-sacred (“We didn’t know if the hockey gods were still with us,” Canadiens left wing Steve Shutt says) or verging on profane (“Complete screw-up,” says Montreal defenseman Brian Engblom). But it definitely was math. Too Many Men. Three little words. Like Bucky F------ Dent, on ice. May 10, 1979. Boston led Montreal 4–3, at the Forum no less, with 2:34 left in Game 7 of their Stanley Cup semifinal when linesman John D’Amico made, in conjunction with referee Bob Myers, a call as indisputable as it was ineluctable. In violation of Rule 18, the Bruins had too many skaters on the ice. 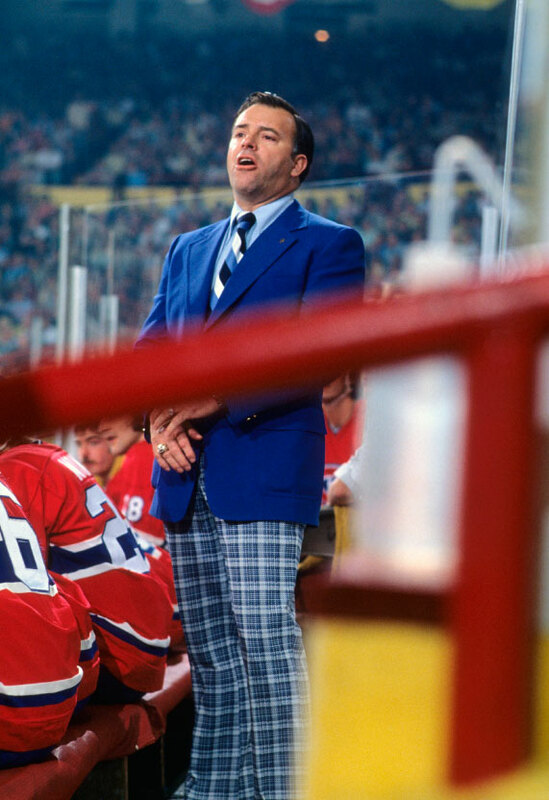 Guy Lafleur scored on the ensuing power play to tie the game, which the Canadiens would win midway through the first overtime period on Yvon Lambert’s goal. This series was the de facto Cup finals; Montreal would roll to its fourth straight championship less than two weeks later, defeating the New York Rangers in five games. Gilbert (1) played heroically in net after taking over for the ineffective Cheevers in Game 3, winning three of his first four starts, but when Lambert scored the series-winner, he and the Bruins could only wonder what might have been. This, of course, is sketching a seminal moment with stick figures. This was also last call for hockey’s grandest decade. The dashing, glamorous Lafleur epitomized hockey in the 1970s. Known as an exceptional skater, he also possessed one of the best slapshots in the game. He scored 52 goals in 1978–79, the fifth straight season he had surpassed 50 goals. This is the residue of a calamitous line change in which the Bruins had six skaters (according to Boston left wing Don Marcotte), six or seven (Bruins coach Don Cherry), seven (Bowman and Engblom) or half their forwards (Shutt) on the ice for a full five seconds (Marcotte), 10 to 12 seconds (Bowman), 10 to 14 seconds (Cherry), 14 seconds (Boston defenseman Mike Milbury) or half a minute (McNab). Whatever the numbers, Too Many Men comprised a swarm of Bruins and a truckload of one-Mississippis. There is no definitive video evidence, but there are countless views of the NHL’s most resounding call. Like conflicting eyewitness testimony at a crime scene, there are multiple versions of reality. The 1979 Prince of Wales Conference finals did not occur in a vacuum. This was not a win-or-go-home series as much as the climax of a playoff trilogy. Boston and Montreal had met in the Stanley Cup finals the previous two springs. The Canadiens swept in 1977, but the Bruins extended them to six games the following year. Intuitively both teams grasped that there would be no epilogue. 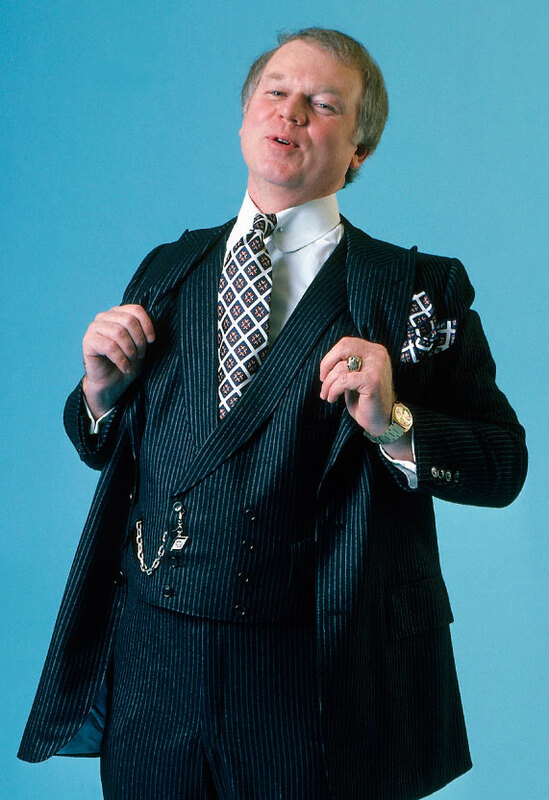 The dapper, pugnacious Cherry won 250 games as a coach and had a .601 winning percentage. 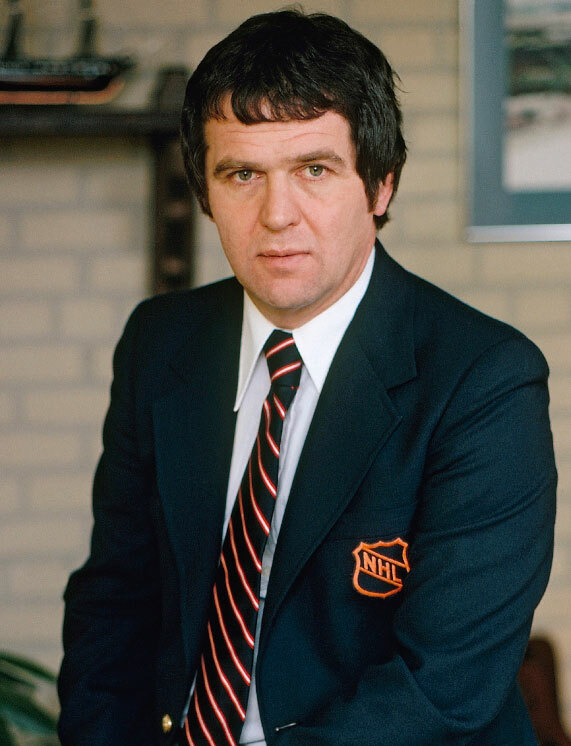 He was the NHL’s coach of the year in 1975–76. But he never won a Stanley Cup. As surely as the fatal stabbing at altamont killed the peace-and-love ’60s, Too many men ended the rollicking ’70s of bobby orr, the summit series and the broad street bullies. The Canadiens were shadowboxing the phantoms of the Montreal teams of Rocket Richard, which won a record five straight Cups from 1956 to ’60, and gazing in the mirror at the smirking reflections of their younger selves, the ’76–77 club that lost just eight regular-season games and is widely considered the best ever. The ­Canadiens could not even win for winning. With annual extended Cup campaigns and the commitments of marquee players to events such as the ’76 Canada Cup (a six-team international tournament) and the ’79 Challenge Cup (against the Soviet Union), many of Montreal’s players were worn to a physical and emotional nub. Bowman, who won nine Stanley Cups in his career, may not have dressed as nicely as Cherry, but there is little doubt that he is one of the best coaches in NHL history. It was his decision to double-shift Lafleur that led to Boston’s botched line change. The Canadiens handily won the first two games of the series at home by the scores of 4–2 and 5–2, respectively, prompting Cherry to bench Boston goalie Gerry Cheevers in favor of backup Gilles Gilbert. The Bruins won the next two games in the Boston Garden, 2–1 and 4–3, the latter on center Jean Ratelle’s goal early in overtime. The series then Ping-Ponged, with the Canadiens romping 5–1 in the Forum and Boston winning 5–2 in the Garden. In his first four starts against a freewheeling era’s most dangerous offense, Gilbert was twice named first star of the game. “Gilles Gilbert stood on his head,” Shutt says. “He was the reason they got to the seventh game.” Heading into the third period of Game 7 at the death-and-taxes Forum, the Bruins led 3–1. At 9:20 of the second period the Bruins already had taken a curious penalty. With the game slouching toward overtime, nifty Bruins winger Rick Middleton circled the Canadiens’ net and, from an acute angle, backhanded a puck that struck Dryden’s right arm and slithered behind him. Boston 4, Montreal 3, with 3:59 remaining. The gritty Marcotte was a fast skater who scored at least 20 goals in a season seven times in his career. But the winger was best known for his ability to shadow an opponent’s star player. Against the Canadiens, it was Marcotte’s job to mark Lafleur. Marcotte’s skating ability qualified the Bruins’ wing for one of the most demanding jobs in hockey: the shadow. Marcotte, who scored at least 20 goals in seven of his 13 full NHL seasons, had finesse, too, but primarily he had great wheels and an elevated hockey IQ. In the 1970s, North American hockey was up and down, all straight lines, like the slots in a table-hockey game. Lafleur and Shutt were the exceptions, pioneers of the modern game’s kaleidoscopic style. The linemates would circle and attack on their off-wings, which baffled some of the occupationally challenged shadows who used to wait for their man at the far blue line. Not Marcotte. He would skate with Lafleur for 200 feet. With the Canadiens’ near-dynasty circling the drain, Bowman, the master line manipulator, double-shifted Lafleur. These were not the buzz-saw 35-seconds-and-off shifts of today but languid shifts of 75 seconds or more. When Lafleur skated to the bench for a breather, Marcotte also went for a change. As quickly as he had hopped off the ice, Lafleur hopped back on. Most of the players remember Marcotte dutifully returning to the ice, and maybe he did. But Marcotte says he was on the bench and that other left wings had jumped. (McNab recalls Marcotte straddling the dasher, half on and half off.) Chaos. Cherry, who alerted the lines when they were up, says the Bruins now had “four forwards . . . well, really five” on the ice. Although one of the forwards who jumped appears to have been Stan Jonathan, no one is willing to identify any of the extra players or lay blame. The feud between Cherry (above, in tie) and Sinden (below)—which had the two men communicating only with handwritten notes by season’s end—was tearing the Bruins apart from within. From their seats behind the Boston bench, Sinden and Johnson were aghast when the ice became as crowded as Route 3 heading to Cape Cod on a summer weekend. Sinden wanted to yell something but feared tipping off D’Amico, who was positioned in front of the bench. The puck was deep in the Boston zone when the whistle blew. “When John came to me [with the call], I was totally shocked,” Myers says. The referee had been watching the play, not the profusion of Bruins. “I asked, ‘Are you sure? Are you sure?’ ” D’Amico, who would be inducted into the Hockey Hall of Fame in 1993, 12 years before he passed away, was more than sure. He was dead right. Danny Gallivan, the CBC announcer who always spoke in full sentences and sometimes even in paragraphs, uttered the evocative phrase that is now part of the sound track of hockey history. Lafleur is indelible in memory as being in full flight, lank blond hair streaming, but on the Canadiens’ last-ditch power play, he exited his own zone with circumspection. He head-manned the puck ahead to Lemaire, who was narrowly onside near the right boards at the Boston blue line. Lemaire skated a few strides and left a drop pass for his right wing, an exchange exquisite in its simplicity. One stride behind the circle, from 40 feet or so, Lafleur unleashed his Hammer of Thor on Gilbert. Lafleur (obscured, in white with arm raised) made the Bruins pay for their botched line change—and added another chapter to a storied rivalry—by scorching a low slap shot past Gilbert to tie the score 4–4 with 1:14 left in the third period. Maybe today a slap shot that beats a goalie low stick side, ticking the far post, would not be instantly hailed as a classic. But on that long-ago Thursday night, there was no question. With the score tied 4–4, Lambert (11) put the Bruins out of their misery—and sent the Canadiens to their fourth straight Stanley Cup finals—midway through overtime, shovelling the puck past Gilbert for the game- and series-winning goal. Gilbert was named the first star of the game. With the Bruins and the Canadiens now reengaged in springtime for the 34th time—more postseason meetings than the Red Sox and the Yankees, and the Celtics and the Lakers, combined—the memories of Too Many Men hover over their enduring rivalry. 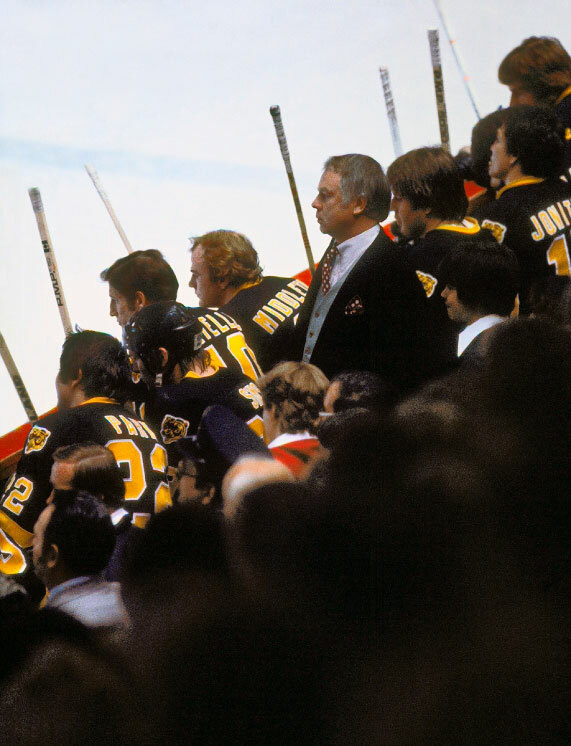 Boston never really lost the big and the bad, but Too Many Men recast the Bruins’ identity in a less propitious manner. They also became destiny’s doormats, getting close but going more than three decades without a championship after flunking math on a Thursday night in 1979. Three days after Too Many Men, the Rangers won the Stanley Cup opener in Montreal 4–1. Several New York players then repaired to a bar on Crescent Street to savor the victory. Before Game 2, Bowman posted pictures on the dressing room walls of the celebratory, cigar-smoking Rangers. Motivation. The Canadiens won 6–2, the first of four straight victories. The victory over the Bruins allowed the Canadiens to turn their impressive run of three straight Stanley Cups into a dynastic four, putting Montreal on par with the most glamorous franchises in North American professional sports. Fresh off a 15-win season, the Colorado Rockies hired Cherry, who coached them to 19 wins. He was fired after one season, a spectacular career move for a now permanent ex-coach who became a galvanizing commentator and a cottage industry in his homeland. Cherry won 250 NHL games. He was coach of the year in 1976. He had a .601 winning percentage, 13th among men who have coached at least 400 games. In 2004 he was named the seventh greatest Canadian in a CBC poll. But in the distant future, in the fifth or maybe sixth paragraph, the phrase “too many men” will appear in the obituary of the man who was the Prime Minister of Saturday Night.